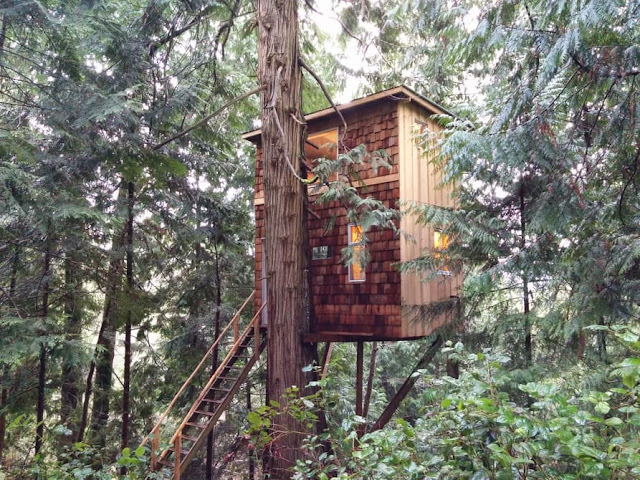 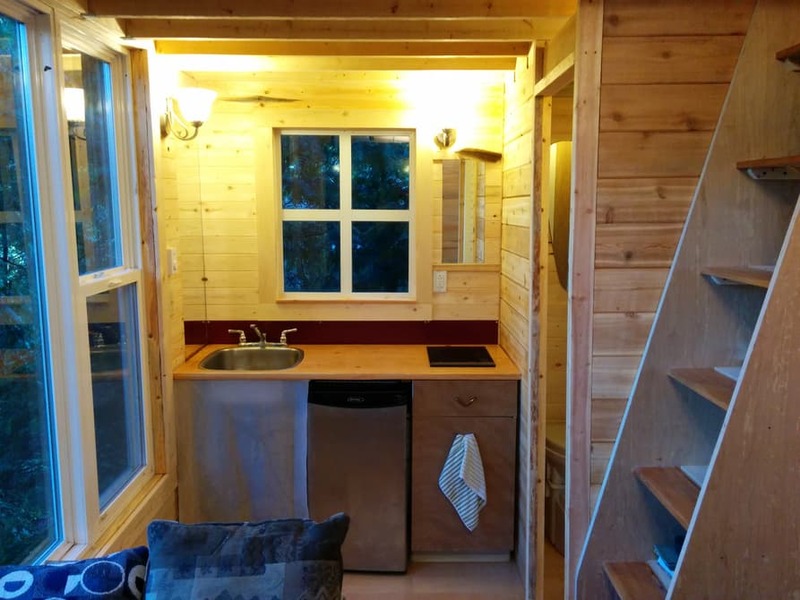 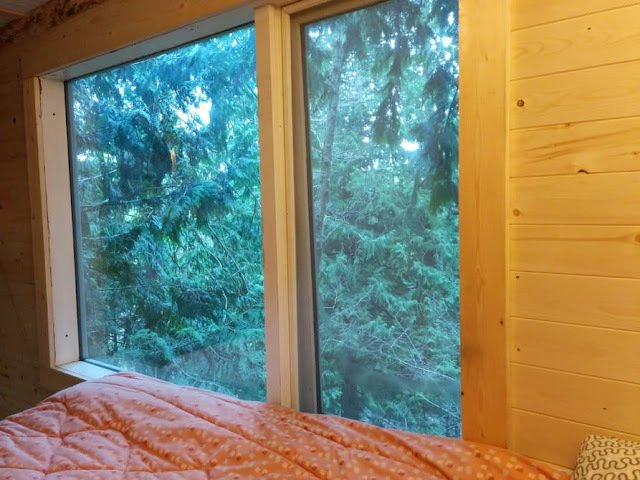 A 208 sq ft tree house to call home is what most of us dream about as kids. 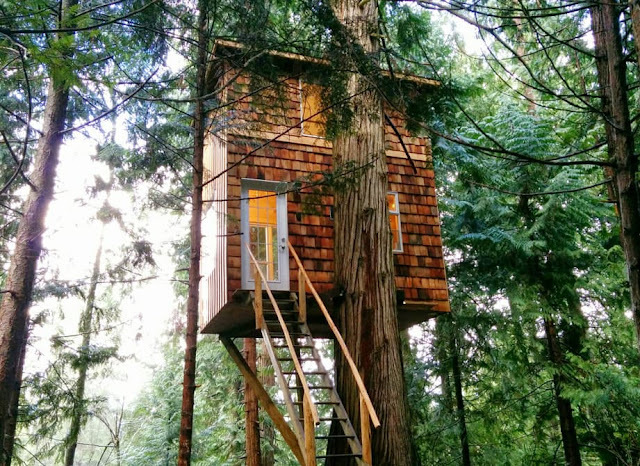 For one man, that childhood fantasy is a reality. 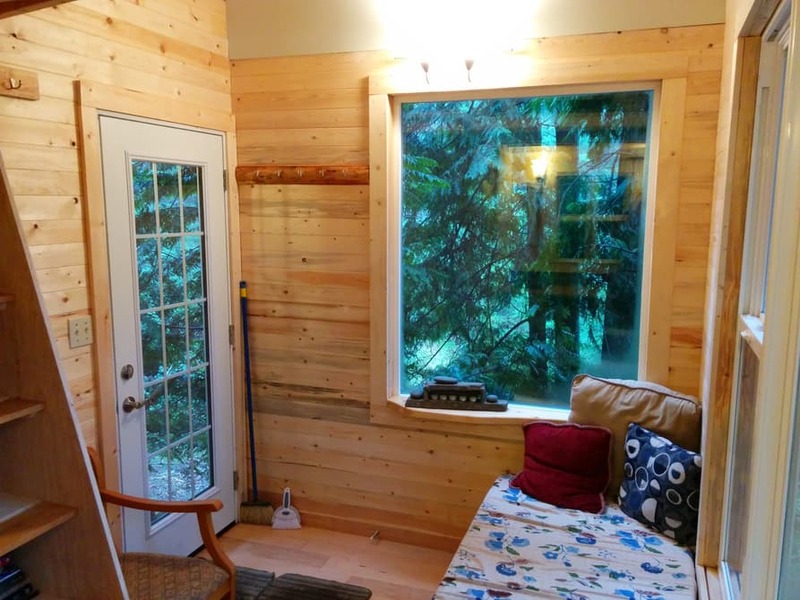 Named the Raven Loft, the home was designed by Northern British Columbia PhD student, Geoff de Ruiter, as an affordable mean of living. 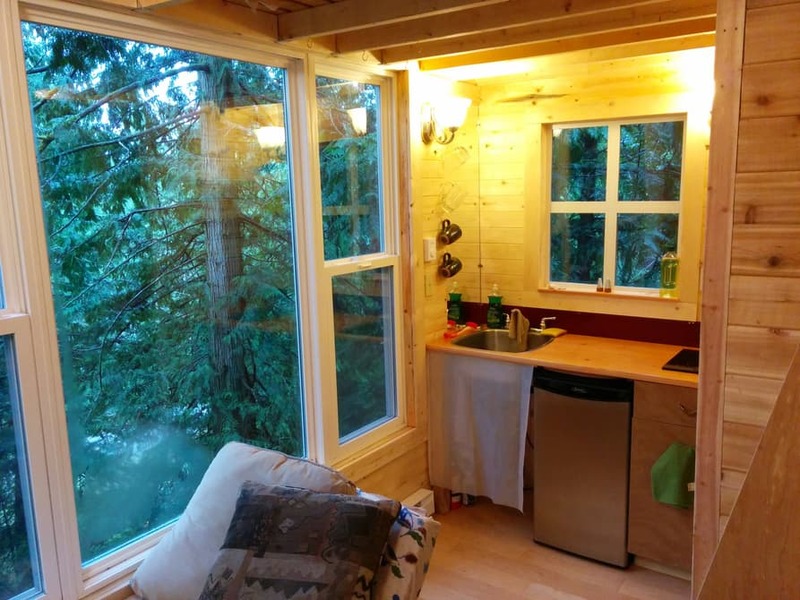 Aside from land costs, the home cost only $8,200 to create, leaving Geoff mortgage and debt-free. 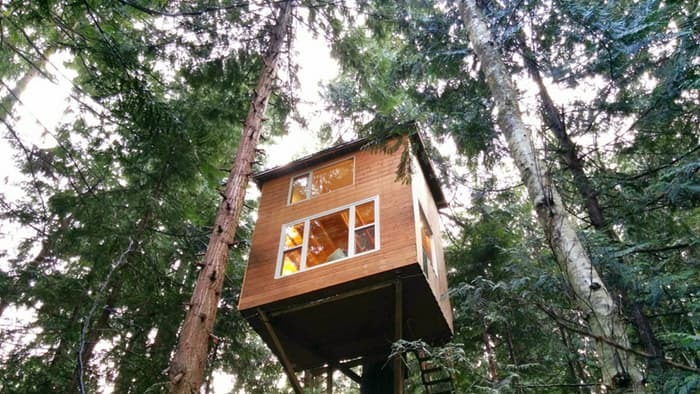 The tree house is made from wood with a cedar exterior. The home, suspended 17 ft off the ground, is leveraged using a ground support pole, and is attached to a cedar tree. 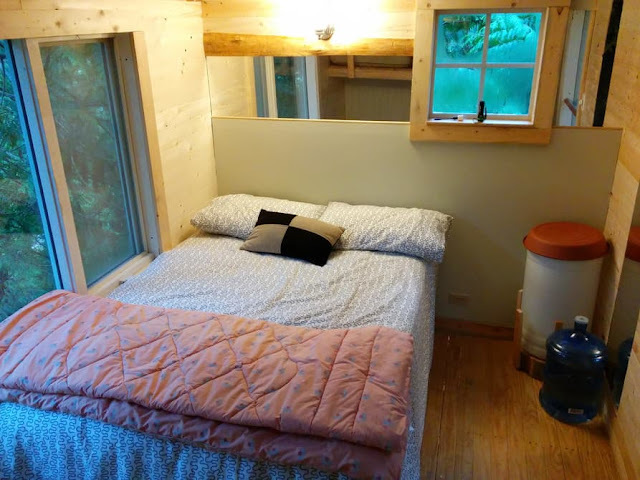 Inside the home is a loft bedroom that fits a double-sized bed. 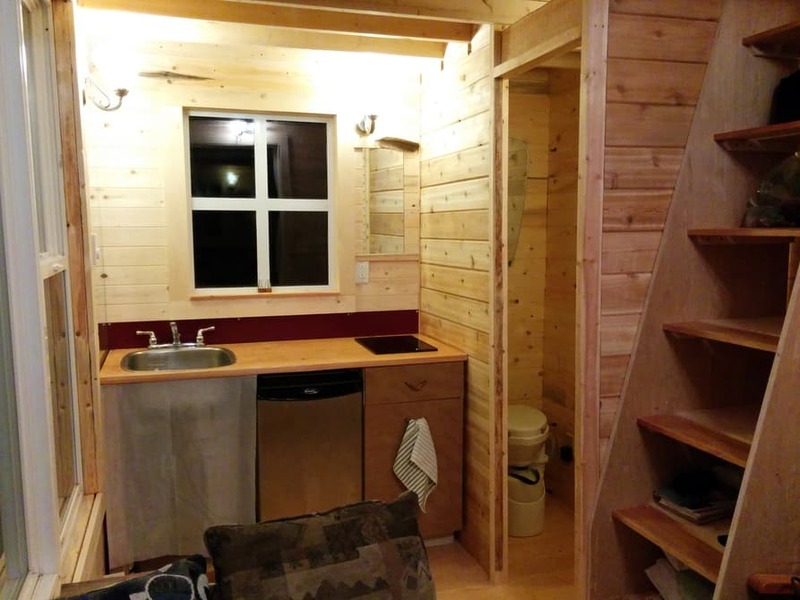 There’s also a small kitchen with an inductive stove, a mini-fridge and a sink. There is a bathroom in the home, but it’s only a composting toilet- no shower available. 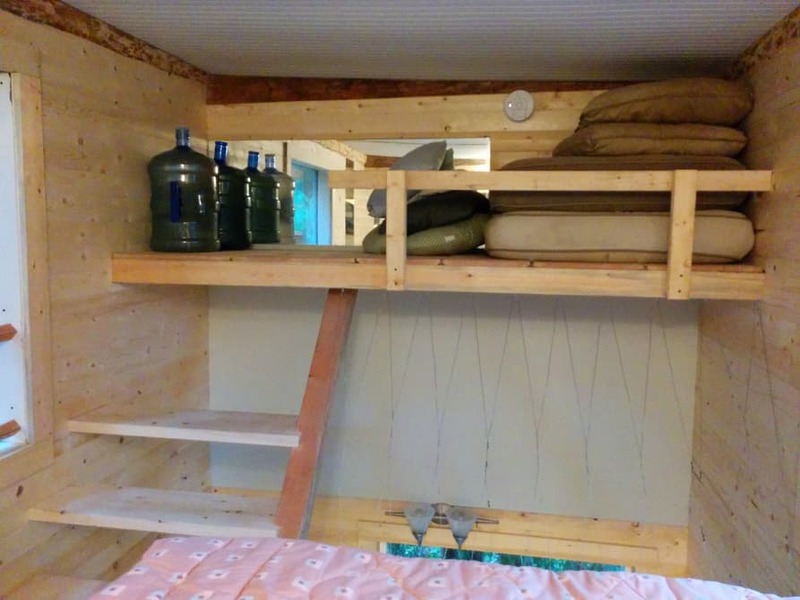 For water, there’s a small reservoir in the upper loft in the home that feeds water into the kitchen sink.